Hello, it’s March and what an awesome month it is going to be! I have a lot of great work coming out this month and I thought I’d share it with you. 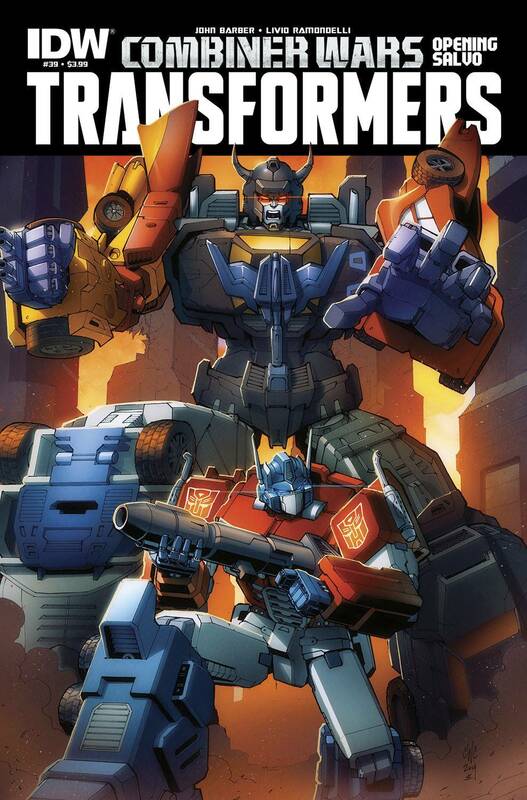 I am a series writer for this new Transformers show. I’ll be livetweeting the premiere with the cast and crew on Saturday. Follow me on twitter here. 10-page original story written by Mairghread Scott with art by Adam Archer. 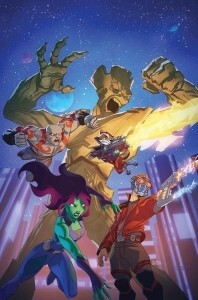 My second Marvel story stars Groot and the Guardians in a brand new adventure! 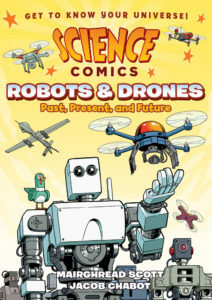 Check out a preview on Comicosity! OPENING SALVO! The Autobots and Decepticons’ uneasy peace is threatened by the flames of war! Starscream, ruler of Cybertron, makes contact with Windblade’s homeworld, Caminus, and the only defense against a new Cybertronian Empire are Combiners: multiple Cybertronians forming together into huge, dangerous forms! THE WAR BEGINS! The first strike in Combiner Wars is against Windblade’s homeworld, Caminus, and she’s not happy about it! 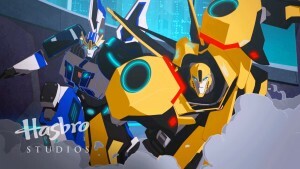 Her long-lost Cybertronian colony is found… and the only thing that can protect it is Superion. 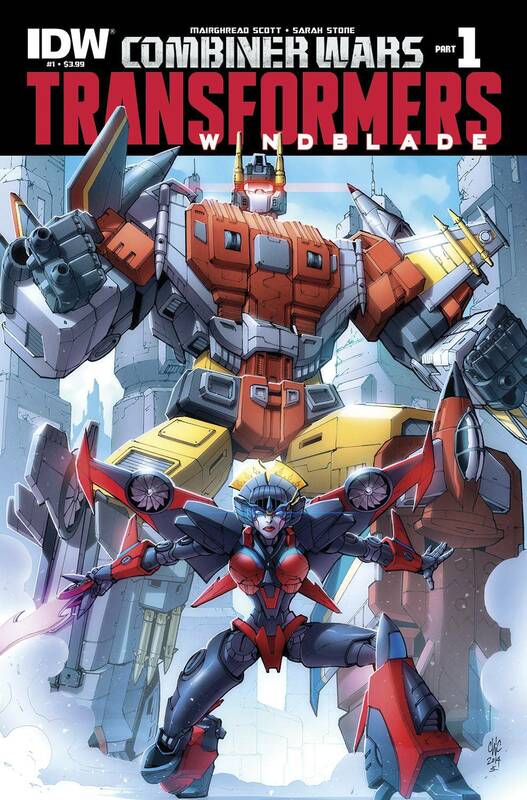 This year’s biggest Tranformers event crosses over John Barber’s “Transformers” book with my “Windblade” series. You’ll want to read both series to get the whole story. A team-up set up by SWORDS OF SORROW’s Gail Simone, featuring the writer that she hand-picked: Mairghread Scott! Who are the villains behind the epic SWORDS OF SORROW event? Discover the darkest minds in Dynamite’s roster, the kind of ladies who are fond of how bloodstains look on six-inch heels. To quote writer Mairghread Scott, “SWORDS OF SORROW is going to be a hell of a party, and CHAOS is your blood-soaked invitation. Take a ride with some of the deadliest women in the Dynamite universe as they prove the only thing you have to fear… is them! 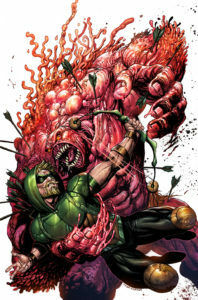 See what happens when Gail Simone asked me to make the evil ladies of Chaos Comics seem like they could kick the snot out of the rest of the Swords of Sorrow heroes! Have a great March everyone! I’ll see you in April! Just Announced! I’m writing the Chaos Special for Gail Simone’s Swords of Sorrow! Swords of Sorrow is a 6-issue event where Gail brings together the coolest heroes of the Dynamite Universe. 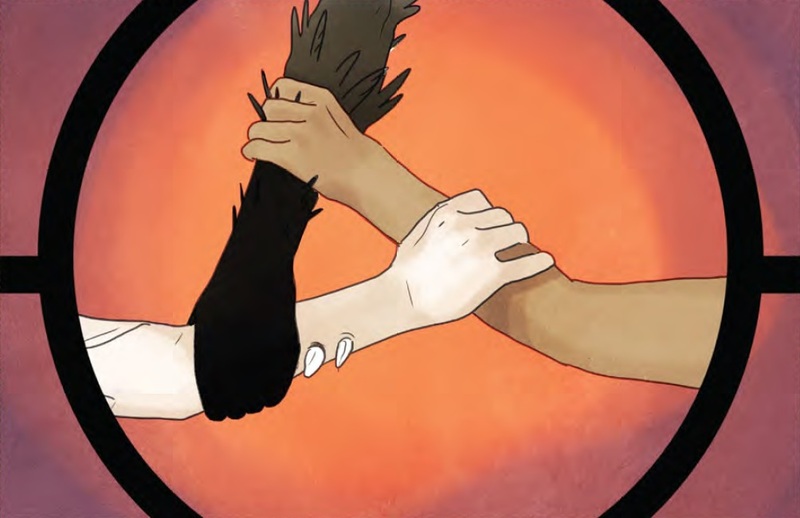 There will also be special tie-in issues by awesome ladies like Marguerite Bennett, G.Willow Wilson, Erica Schultz, Leah Moore, Emma Beeby, Mikki Kendall, and Nancy A. Collins. I get to write the Chaos special with art by Mirka Andolfo which introduces the antagonists of Gail’s series, Chastity, Purgatori, Mistress Hel, and Bad Kitty. These ladies are deadly and totally out of f*cks to give. They will rip your heart out and smile as they show it you. 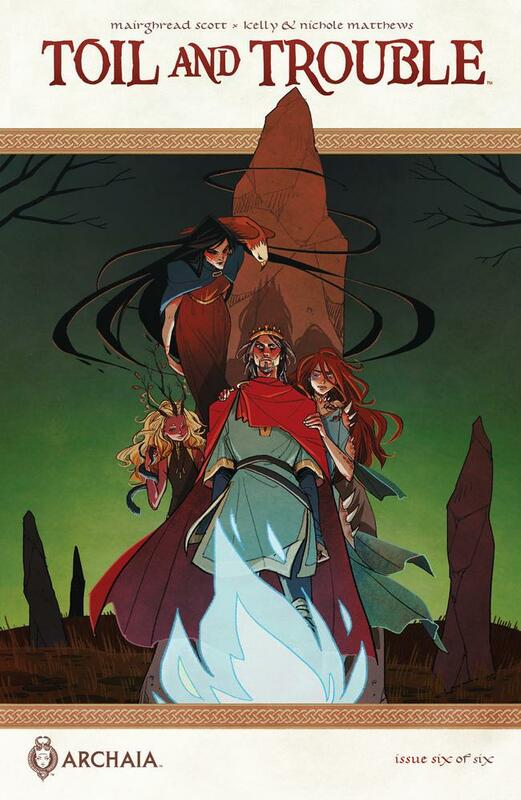 Check out the awesome cover by Joyce Chin to the right and check out the full Swords of Sorrow announcement here.